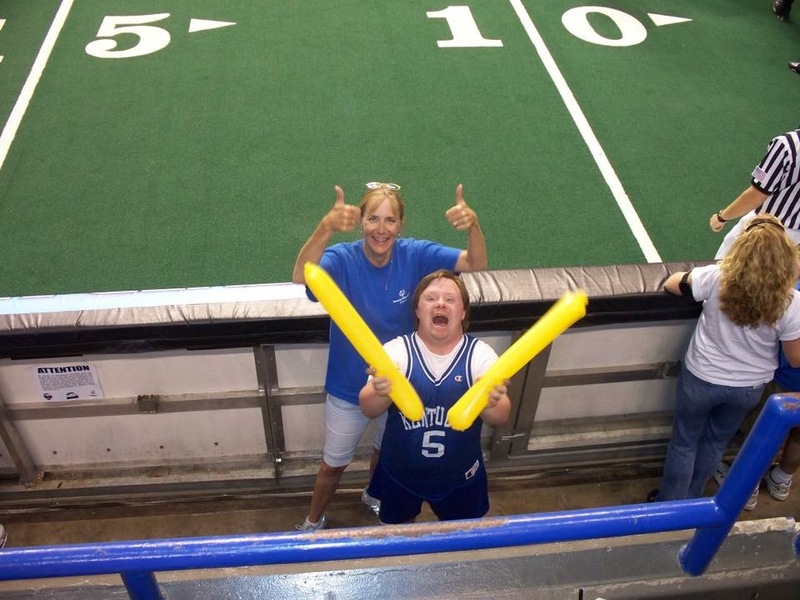 You are here: Home / New Parent Of A Child Born With Down Syndrome? 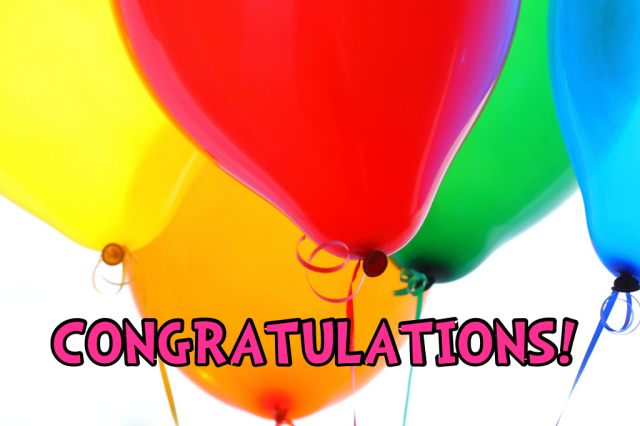 Congratulations on the birth of your new baby…! Do not forget over the next few days that you have a baby who needs love, and will be more like the baby you were expecting than different. However, I have been in your shoes and it is ok to grieve the loss of a child that you envisioned, and grieve for the challenges your little one will face in their future. Do not be afraid to cry, but remember to celebrate! Your friends and family will likely not know what to say to you, and several will likely say things that you will laugh at in the future. You will get several “they are a blessing”, and probably a few “I’m sorry.” Everything you are feeling is normal. There is a lot of information out there and this is just a starting point that can hopefully get you through the first few days before you really dive in. This is a resource written by my wife who also happens to be the mother of a child diagnosed with Down Syndrome, and a Medical Doctor! It tells with many of the questions and issues that you will have during the first month after the birth of your baby. I would highly suggest you start with this helpful New Parent Guide. 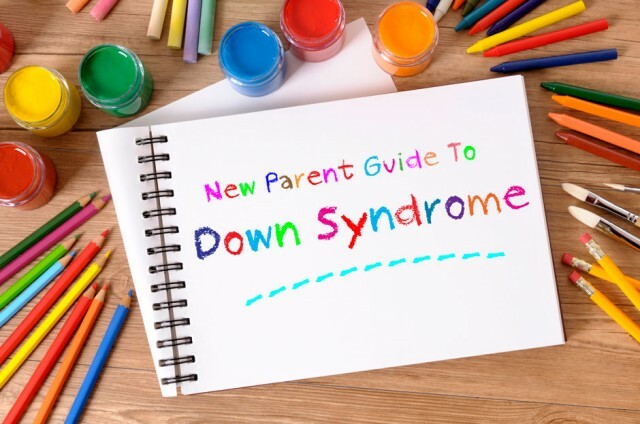 This new parent guide, produced by the Down Syndrome Guild Of Dallas is a comprehensive guide for new parents. It is available as a free download by clicking on the link above. I would encourage you to visit the link which will give you the option to stay connected by RSS, Email, Twitter, and Facebook! Thank you so much for stopping by our site. Our hope is that we can be a source of encouragement, resources, and facts for you! If you have any questions, comments, concerns, or just need someone to pray for you, please feel free to contact us! I love what you are doing! My friend told me about this blog and your FB. My daughter Marlee is 17months old now and we feel so Extremly lucky to have her in our lives. I listened to you on the radio the other day and I’m so glad you are getting the word out about our children, it’s a beautiful thing:) Thank you for all you are doing!! I love what you’re doing! Your son is so adorable! He looks so happy and proud for his crawling! If you ever visit NYC make sure to visit the new Gigi’s Playhouse that just opened up! HE HAS DOWN SYNDROM, PLS TELL ME WHAT ARE THE EXERCISE OF DOWN SYNDROM BABY TO IMPORVE THEIR FITNESSNESS. IS THEIR ANY VIDEO SO THAT I CAN DOWNLOAD IT AND CAN PRACTICE TO MY BABY. What an emazing site you have created! I am so grateful to come across your story and admire your attitude that ispiring many people like us. We were blessed with our baby boy named Rayan born on 12-06-2012 with down syndrome. Reading your story was like reading ours… I truly admire you two and feel like knowing you and Nohaalready. We are based in Auckland, New Zealand and looking forward to take Rayan home once he is discharged. Rayan was born after 35 weeks in a norma delivery. He is doing fine and the focus is to get breastfeeding established before sending home. We are both accadonic have a lot to learn and cope. We love what you are doing! Thank you for what you do. 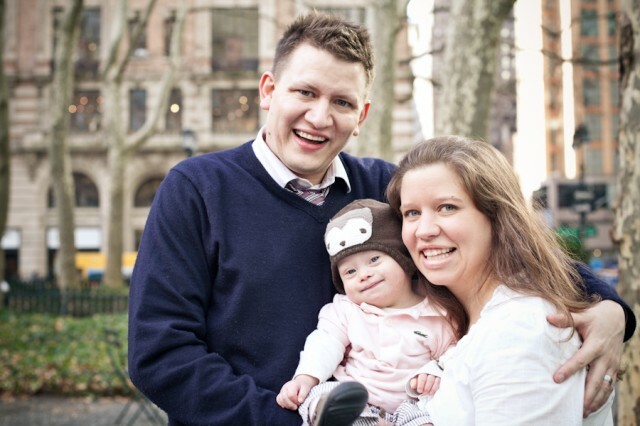 My husband and I have a 5 month old son who happens to have downs syndrome. So much to learn but wouldnt change him. He and our daughter give us so much joy. Your blog is awesome and inspires me!! Hello, Rick. I like your site and videos. Noah sure is a cute kid! My wife and I are expecting our third in less than 2 wks. We found out last spring that she (Olivia) has T21. So far the ultrasounds look good. We are very excited about welcoming our new baby! Joe so nice to “meet” you. Thanks for sharing your story with us. My grand daughter has features of DS although not diagnosed I as her grandmother have noticed some signs my daughter and her husband refuse to acknowledge my feelings. I have ask them about Chloe and they both say she doesn’t have DS and have ask sea themselves. They say she was tested During pregnancy as well as other test done as a infent I have approached this w caution. I love her no matter what. I feel that if I am wrong I will be delighted. But if I am correct the Drs have done a great disservice to my daughter as well as my granddaughter for not pushing this to the for front if they as parents are In denial what do I do as a grand parent . Nice to know u and I am from Malaysia and I got a third son who detected to be ds and he is three years old now ..he can stand without support now ..not yet walk ..can u guide me how to make him walk soon..
And he crawl not in correct way ..like hopping like rabbit how to correct him .. where u get the walker to train u son walk..
Dear Rick, Abbie and Noah. What a great website you have here, very positive and full of inspiration and information. I would like to know if I could have your permission to use some of your lovely photos of Noah and yourselves for a leaflet assignment I have to do as part of my University degree on Early Childcare and Education? The photos would not be used for reproduction without your consent. I have a daughter 6 month old prenatal diagnosis down syndrome.My husband wanted me to continue pregnancy and he refused further amniocentesis because he was thinking it’s a risk. I was only 21 yrs old when I found out my 6 week old precious baby had DS. I would have given ANYTHING to have been able to talk to another Mom that could have answered the million questions I had. If anyone would like to email me with anything I might have learned in these last 36 years I would love to help if I could. I was so young I was embarrassed by asking what I thought it a dumb question . Their are no dumb questions. If you would just to chat or tell me your story I will get back as quick as I can . I wish their was blogs like Noah’s Dads when I had my son . I was one scared young mother who knew no one that had DS.i thank God for allowing me to be his mother. Five weeks ago on the Sunday morning was one of the happiest days of our lives when I gave birth to our beautiful boy. The next morning my world just crumbled, I was told at 7am (2h before my partner and our eldest son were supposed to get to the hospital due to visiting hours) that our baby had all the markers of DS. My first thought was “will he be happy? I just want him to have a normal life”. Obviously as soon as the dr left and I had to break the news to my partner over the phone to tell him to get to the hospital straight away; I googled! And luckily before I got onto any website that mentions all the scary things like heart problems, delays in walking and talking, I found this website. I didn’t have the courage to scroll too much but I looked at how happy Noah was and how you guys had great family fun. I did a screenshot to shot my partner how gorgeous Noah was and to show him (and probably to reassure myself) that everything will be ok.
Five weeks have past now and we are having the best time, we do tummy time classes and baby massage classes to get us out and about and meet other babies and mums. Every day is a new day and i still have days where I cry (not really sure why I cry most times!). But doing research on how we can support our son, seeing your videos helps me. The futur is bright and I am excited to support our boy all the way and see him grown up happy with his big brother.